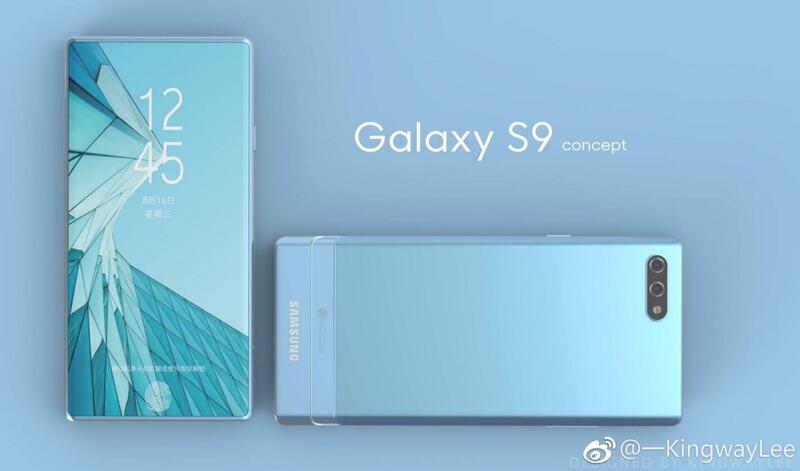 It’s raining renders today, started with the iPhone 8, OnePlus 6 and now a new Concept renders for the Samsung Galaxy S9, successor to the current Galaxy S8/S8+ shows up. The renders showcase a Bezel less Totality display, means; there are neither side bezels nor any top and bottom bezels. Thus, achieving the futuristic smart phone look that everyone dreams. 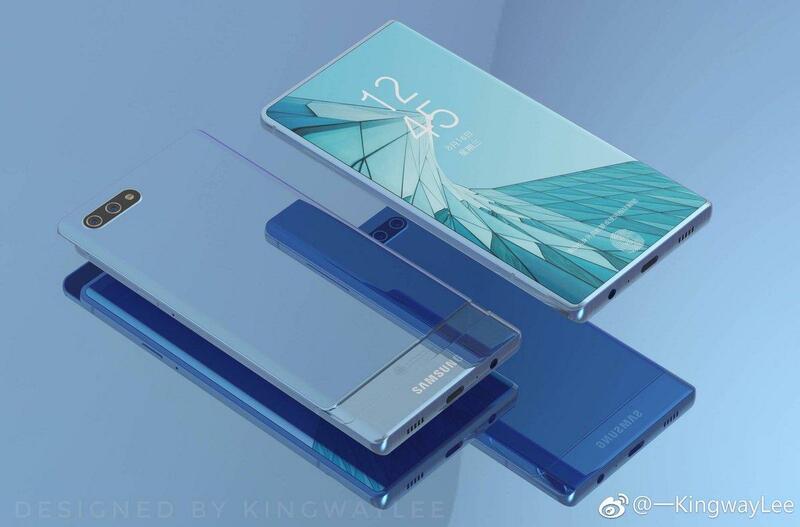 The concept well follows the curved edges which have now become a signature Samsung identity for its Flagship smart phones, and they’re present here as well. The bottom edge part has the regular 3.5mm headphone jack, which is still even present renders, along with a USB TYPE-C port along with bottom mounted speakers. Another thing to notice is that this Concept features the under the display, fingerprint scanner, which is introduced by Qualcomm recently. Moreover, the rear has an interesting story in these renders, first, renders show a super glossy finish. Which is like a mirror and it ends at the bottom rear, with a seam and a brushed metal finish emerges from there. Which houses the Samsung branding and the FCC details. While the other render shows a gradient like finish; which plays with light and displays various shades, which looks pleasing to the eye. Furthermore, we also a Dual-Camera setup along with a flash, nothing crazy fancy here. 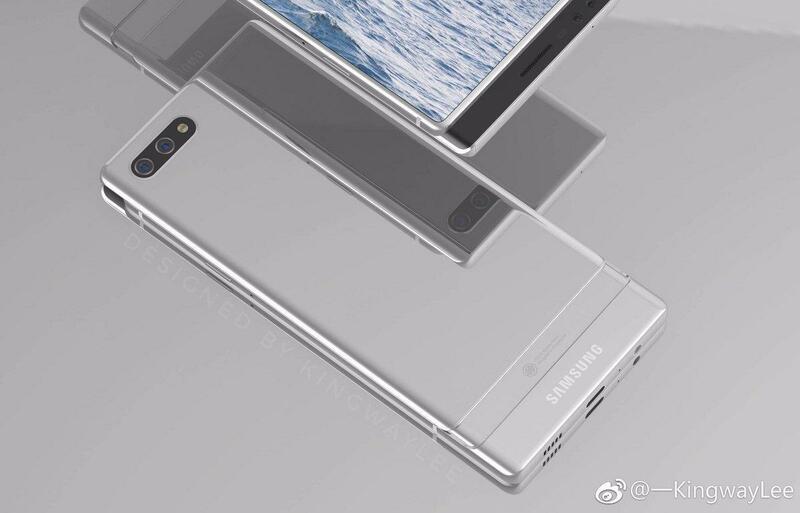 The entire design is rectangular shaped like the note 8 with minimal curves. If anything that we would like to see from this concept render into a real production device is the Totality Display, that’s it. 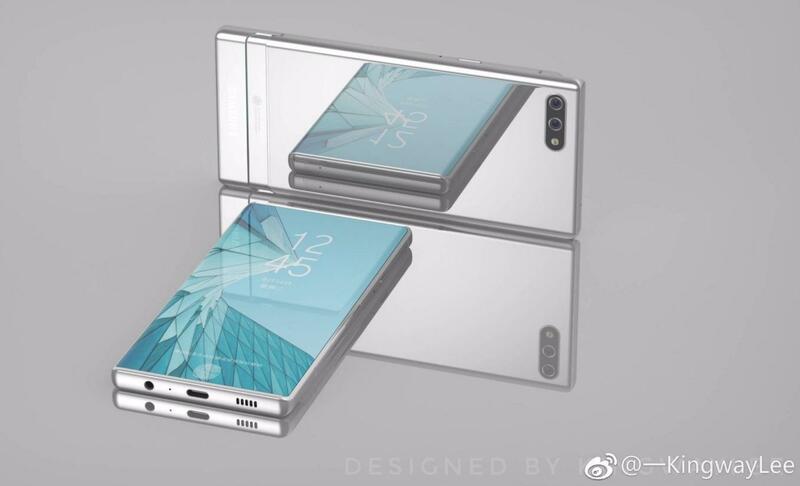 There is also a rumor of MotoMod like thing in Galaxy S9. Coming to the Specs, the Galaxy S9 could use the best, Exynos Chip ever made by Samsung at 7nm the with a clock speed up to 2.7GHz like the legendary Snapdragon 805. With four application cores, and remaining special purpose cores for voice processing, image processing, and other sensor data execution. While some earlier rumors suggest, a Snapdragon 845 could be in tow. However, in recent reports, it was mentioned that Samsung bought all the Snapdragon 845 chipset, which were to be made for per quarter. So, a Snapdragon chip will surely make its way, but we’re here talking Concept. So, let’s continue with the memory while the RAM would sure start from 8GB and 256GB of native storage; with SD-card support, that’s as essential as a headphone jack. iPhone 8 is expected to come with 512GB of storage so that Samsung won’t stay behind from its main competitor. A powerful GPU with clock speeds as high as 900Mhz, with 32 texels/clock for (trilinear) texture filtering. And a clock boost of 10% under high loads. On the camera front, the Dual-Camera’s will be similar to Galaxy Note 8 as there’s nothing bad with that. But it could carry out a hybrid auto-focusing system involving a laser as well as Hyperfocal distance focusing. Powering all this will be a massive 3800mAh battery, even though the device may get a little thicker. Quick wireless charging will also be part of this battery along with water, dust and military grade protection protecting this entire package. 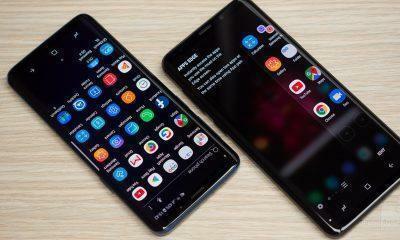 If Samsung could make all this possible, especially the Totality display; all under $999 price tag. Then this could be the greatest smart phone ever. 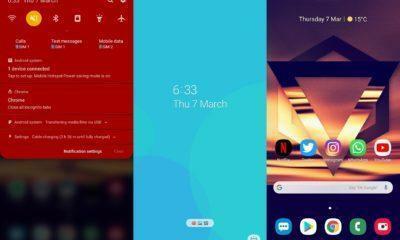 OnePlus 6 Render leaks: An Apple iPhone 8 Copy?